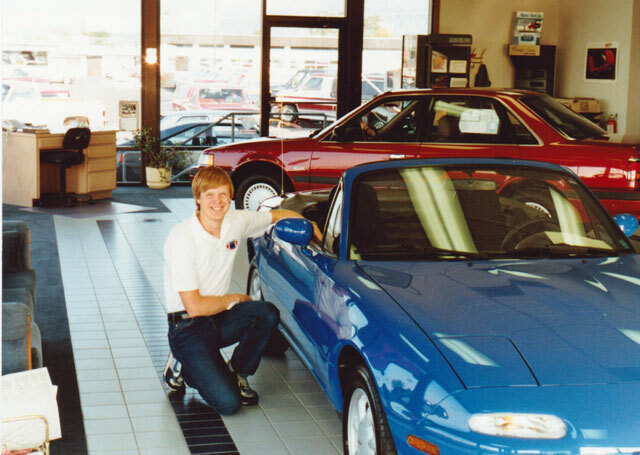 Congratulations to Alan on his selection as our Featured MX5 Miata! 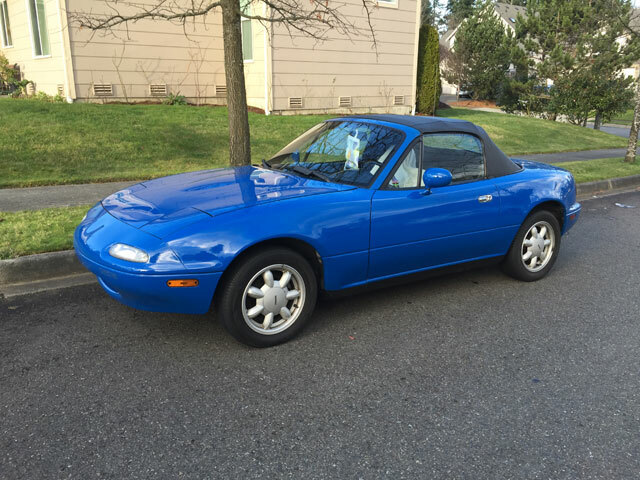 I bought my 1990 Mariner Blue Miata brand-new back in the summer of 1989 and it's been my trusted companion for over 25 years and 300,000 miles. I could write a book on all the good times that this car has brought me so I will just go over the highlights. Less than a week after I bought the car I went to a large outdoor old-car show and while enquiring where parking was they waved me into the show proper and gave me a sign and everything. So there I was with this new car in the midst of antique and classic cars from the '20s - 50s and much to my surprise I was treated as if I had brought an old Triumph or something. Folks complimented my car and asked questions all day long. This was the first sign that I hadn't just bought a car, I'd bought something special. 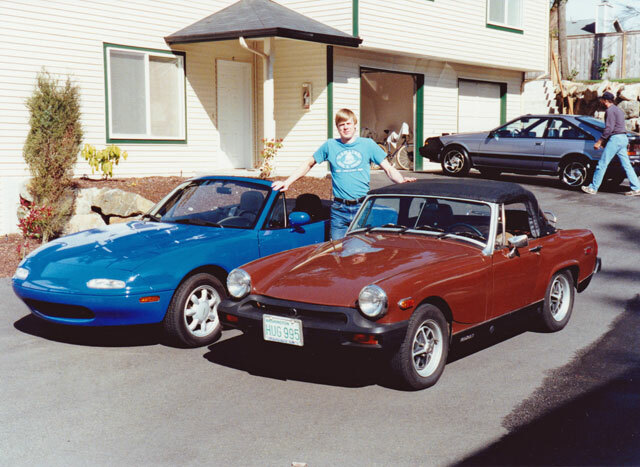 Along about December I heard about a Miata club being started here in Seattle and though I missed the first informal meeting that much I made sure to make the first formal meeting in January of 1990. 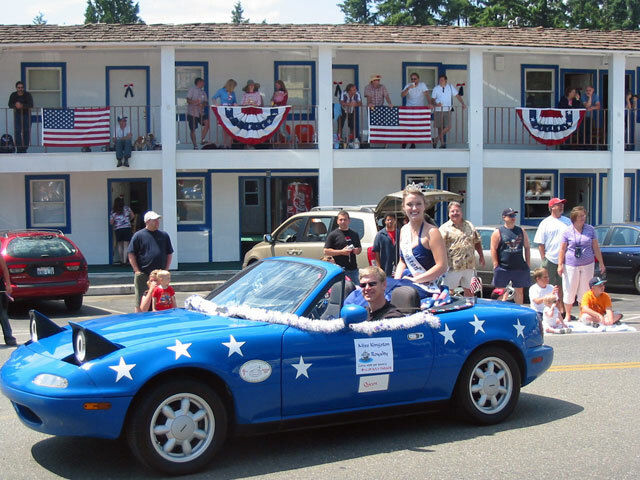 I was excited to meet 10 other local Miata enthusiasts and to hear that we'd be getting together many times that year to enjoy our cars in many varied activities. 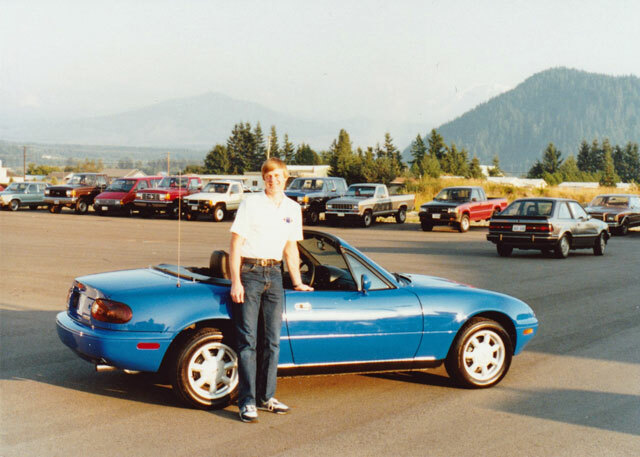 I didn't know it at this time but it turned out that I had joined the first Miata club anywhere in the USA and one that I am still an enthusiastic member of 25 years later. For years I had autocrossed with middling results so of course I needed to race my Miata too. But a funny thing happened, I started to do better and better until it was suggested that I should make a trek to the Solo Nationals in Salina, some 1900 miles from Seattle where I live. 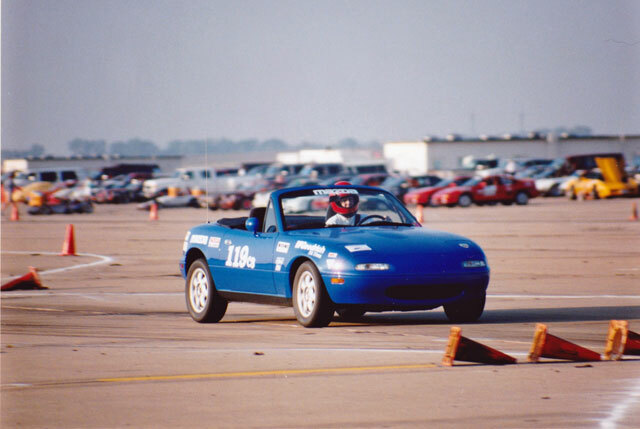 Now in it's first two years the Miata had not done so well at the championships, it had failed to win a trophy and was generally regarded as an also-ran (yes, hard to believe now, but this was true). As a rookie driver I was likely regarded the same so you can imagine some heads snapped around when my very first run was good for 3rd of 40 cars in my class. I eventually dropped to 4th that day and eventually finished 8th after the second day but that was good enough for a trophy, the very first one by a Miata in SCCA Solo competition! Over the years we've had many more adventures with 4 trips to Kansas for nationals, summer top-down drives and driving through the snow with chains because my Miata was my "snow car" too, parades with beautiful girls in the "princess seat", hauling items that you would think couldn't possibly fit in a Miata, trying my best to mostly keep up with a Ferrari on a twisty road covered with fall leaves and so many more wonderful times that I can't list them. It's been wrecked (lightly thankfully), stolen twice, had a heart transplant and is now well on its way back from the moon. Yet it still runs and drives like a new car and never fails to put a grin on my face! Really truly the perfect car and something that for my lifetime at least will always be a one owner car!